description: Large building top sign with opaque plastic lettering over neon tubes. Large blue porcelain base holds the transformers that light the sign. information: This sign advertised Plaza Pharmacy located at Reavis Barracks and Union Road, Lemay, Missouri. 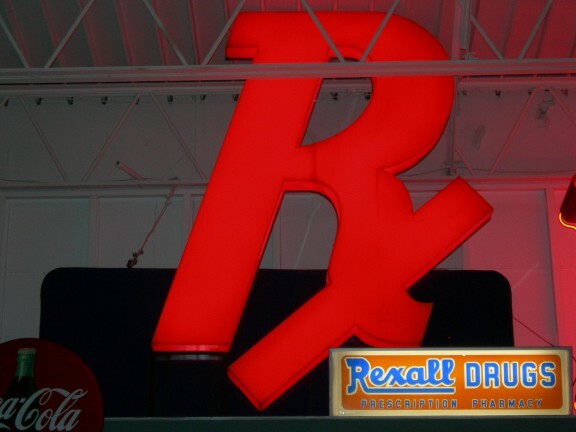 In the image above, the small Rexall Drugs sign in the bottom right corner is a separate sign. The large base of the neon sign seen in this image is blue porcelain.